One of the most poignant tales of the Korean War is that of Lt.(j.g.) Thomas J. Hudner, Jr., and Ensign Jesse L. Brown, Jr., fellow Corsair pilots in VF-32. Their story is inextricably woven into one of the greatest tales of Americans in war, the breakout by the 1st Marine Division from the Chosin Reservoir and retreat to Hungnam in November-December 1950 following the Chinese intervention in the Korean War. Tom Hudner graduated from the U.S. Naval Academy in 1946; and immediately entered flight training, becoming a Naval Aviator in late 1947. Jesse L. Brown Jr. had a more difficult route into the ranks of Naval Aviators. Enrolled in the Navy’s Aviation Midshipman program in late 1946, he became the first African-American to wear the Wings of Gold when he graduated at Pensacola in 1948. The Navy was at that time perhaps the least socially-progressive of all the American armed forces, with a career officer corps that was primarily Southern, and Brown had his job cut out for him to gain acceptance. 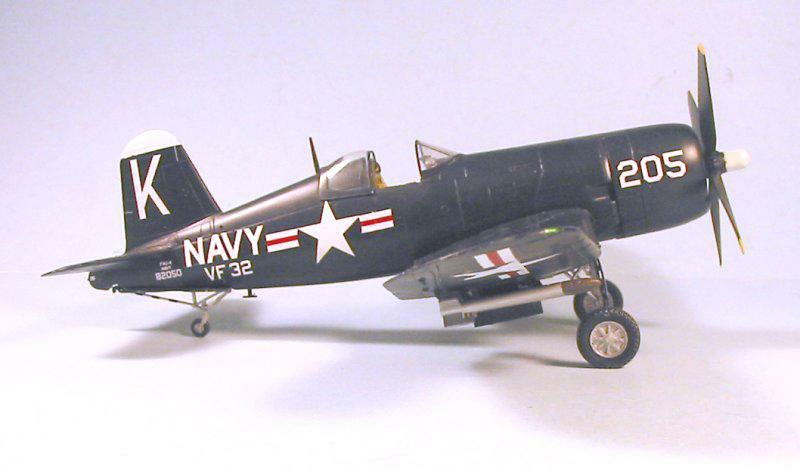 Both Hudner and Brown found themselves assigned to VF-3, flying F8F-1 Bearcats off the old U.S.S. “Ranger” during her last year of service. 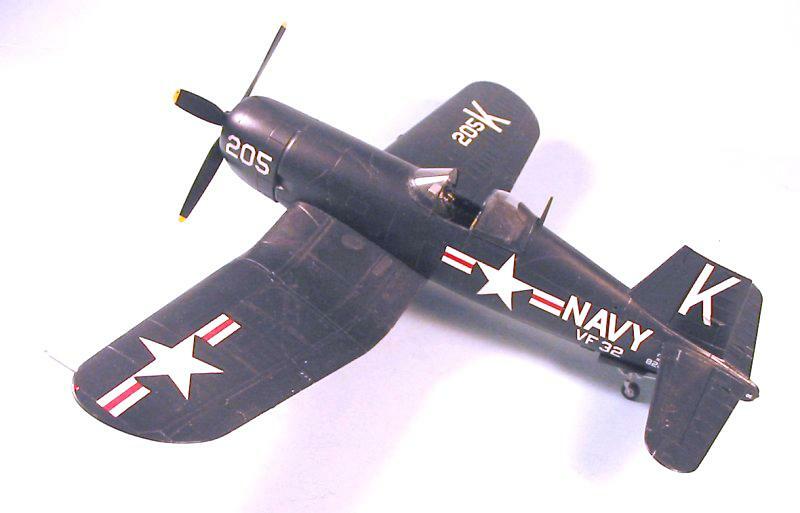 Brown was recognized as the best pilot in the squadron – whether all his squadron mates wanted to admit it or not – when he took a wave-off at the last moment, added throttle just too rapidly (easy to do in the Bearcat) and survived a torque roll less than 100 feet above the carrier deck, from which he recovered in full view of everyone and then made a textbook landing, cool as could be. 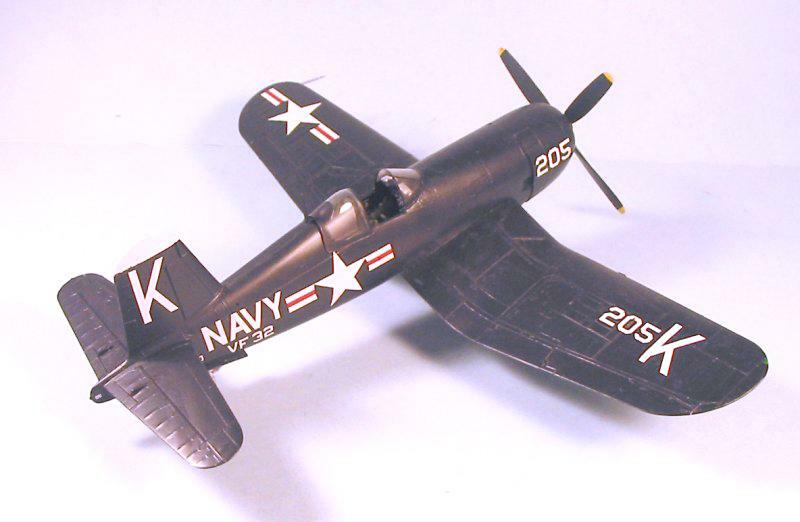 In early 1950 VF-3 was divided into VF-31, VF-32, and VF-33, with VF-31 transitioning to the F9F-2 Panther, while the other two squadrons equipped with the F4U-4. They went aboard USS Leyte in May 1950 for a Mediterranean cruise that was interrupted by the outbreak of the Korean War. Leyte transited the Suez Canal and steamed across the Indian Ocean, joining Task Force 77 in time to support the Inchon invasion. From then on, the ship provided air support to X Corps as MacArthur made the fateful decision to enter North Korea and “roll back” communism. X Corps was primarily the 1st Marine Division; with 80% of its members veterans of the Pacific War, the unit represented the cream of the Marine Corps and was probably the best American fighting unit in the theater at the time. In early October, in response to Chinese warnings not to approach the Yalu, MacArthur revealed his 19th Century world view when he stated that the Chinese leaders were unlikely to make good on the threat since they knew no Chinese troops had ever been able to stand up to a Western Army. He promised “the boys will be home by Christmas.” The 1st Marines were now in the Korean high country, with two regiments in the Chosin Reservoir at Yudam-ni and the third 10 miles south at Koto-Ri. What followed over the next four days was some of the bloodiest fighting in the history of the Marines, fought in temperatures of minus-30F in waist-deep snow. Air cover was given as the weather allowed, with aircraft of the Leyte providing close cover to the Marines. 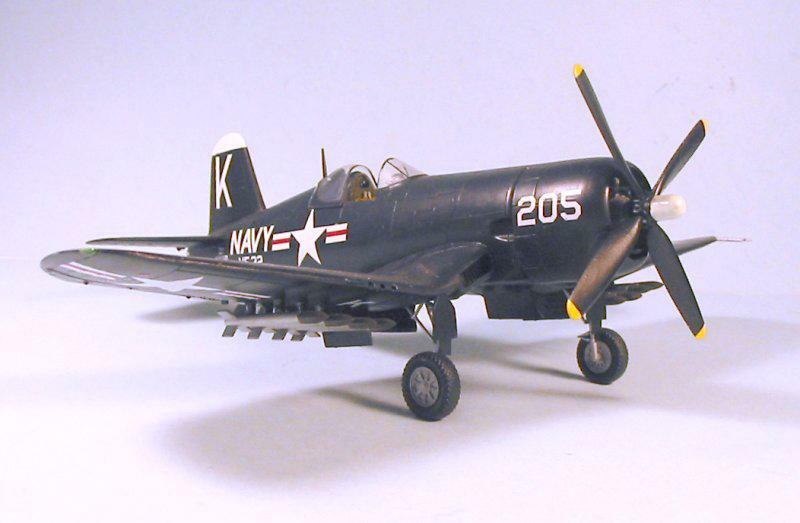 On December 4, Tom Hudner flew as wingman to section leader Jesse Brown in a four Corsair armed reconnaissance of the reservoir. Suddenly, Brown reported a hit from someone below. Hudner saw fluid spraying from Brown’s Corsair, which turned out to be the oil supply. Brown’s R-2800 came to a halt, and he crash landed in a small valley. The others orbited overhead, watching to see him exit the smoking Corsair, but there was no movement. Hudner made his decision. “I’m going in.” He dropped his ordnance and drop tank, and set up to deliberately crash land to rescue his friend. As he told me in an interview in 1990, “As I turned to final approach, I thought to myself, ‘this is really crazy, you know? 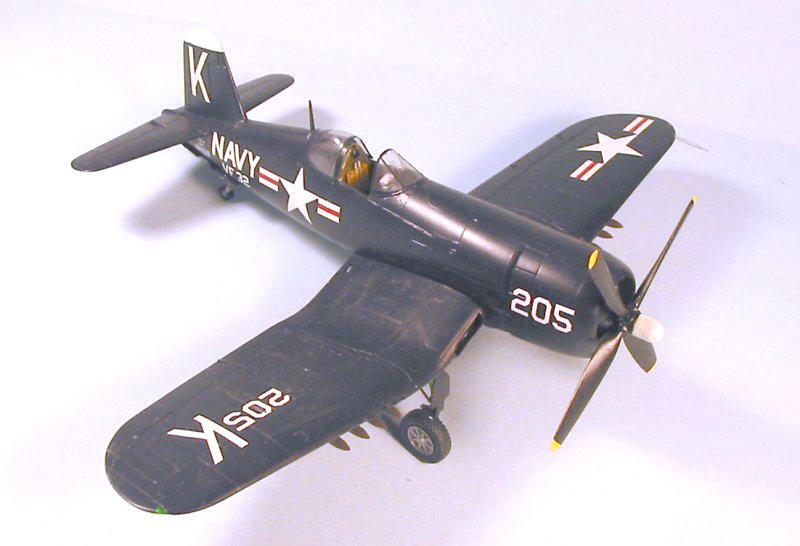 '” When he touched down the Corsair sledded across the snow out of control and he feared he might be killed. He finally came to a stop 30 yards from Brown’s Corsair. He climbed out into minus-20F temperatures and waist deep snow. It took him 45 minutes to slog his way to Brown’s airplane, where he found that his friend’s legs had been crushed, and the twisted interior of the cockpit prevented him pulling Brown out. Due to exposure, Brown was drifting in and out of consciousness and Hudner tried to stop the smoldering fire in the engine compartment by packing it with snow. Finally, in the last light of day, a Marine HO3S helicopter found him. He discovered his friend had frozen to death, and if he did not leave the same fate awaited him. In blowing snow, they departed. The next day, the Marines began what is known in history as The Breakout From Chosin. Over the next four days, the 15,000 Marines fought through the 100,000 enemies, taking 4,238 casualties in constant combat, while 7,300 suffered frostbite. My ex-father-in-law, who was there, told me of how they wrapped the dead around the tank cannons and the artillery barrels, leaving no man behind. In April 1952, Lt.(j.g.) Tom Hudner became the only member of the US Navy to be awarded the Medal of Honor in the Korean War for his willingness to sacrifice his life to save his friend; it was one of 14 Medals of Honor awarded for the Chosin battle, the highest number ever awarded in one action. Of the 82 Navy Crosses awarded, 60 were awarded in lieu of the original recommendation of a Medal of Honor. In 1969, race riots broke out in Navy bases across the United States. Chief of Naval Operations Admiral Elmo Zumwalt ordered Captain Thomas Hudner to visit each base, discover the facts of the situation, and take action to “restore justice.” He was considered the only officer in the Navy with the moral authority to undertake such an assignment, due to his history. His reforms laid the basis for the more thorough reforms of racial politics in the American armed forces that were instituted in the 1970s; he told me he considered it the best thing he ever did in his life. 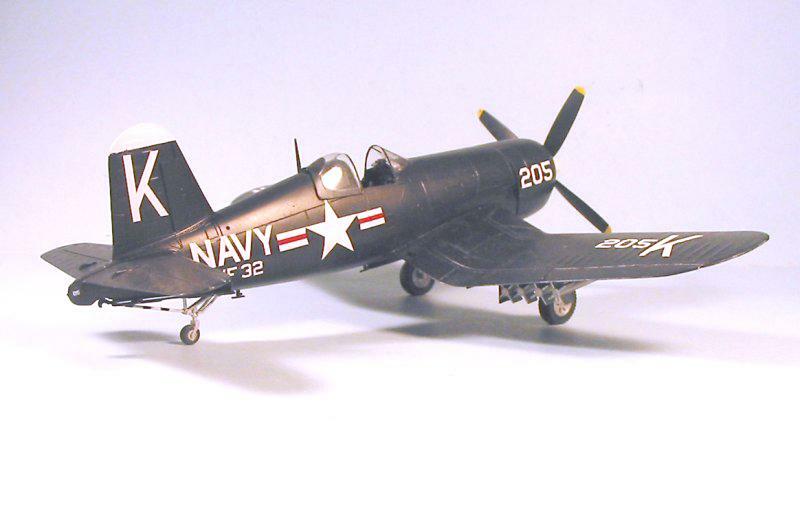 The old Hasegawa Corsair here has decals from a Cutting Edge sheet that provided the markings for both Corsairs flown by Hudner and Brown, and memorializes this tale. You can read the entire story in my book, “Air Combat Annals,” available as an e-book at Amazon. Excellence in modeling and writing. Again. Tom…. 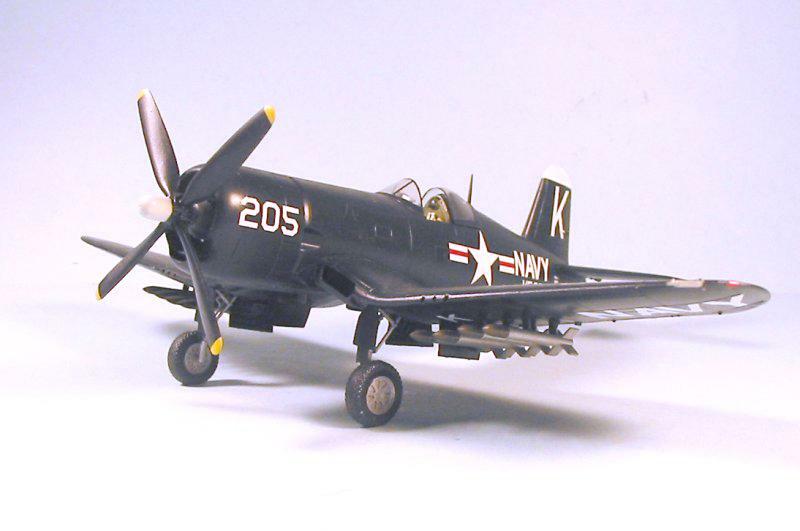 Thanks for sharing another beautiful model and a great recount of history. Always enjoyable. No. the Hasegawa kit, which is mostly right. Beautiful Corsair Tom. And, I thoroughly enjoyed the very moving and informative article that accompanied it. From an old History major (and teacher), thanks a lot! HEY .. THIS IS one of the “sister” birds from Olathe NAS, Ks .. as usual ..a BEAUTIFUL job .. a lot of memories are from that old bird!!! THANKS !!! Um, actually you are thinking of two different units. Olathe did have “K” as the identifier, but it was after the Korean War. In this case, the K is the identifier for the USS Philippine Sea. 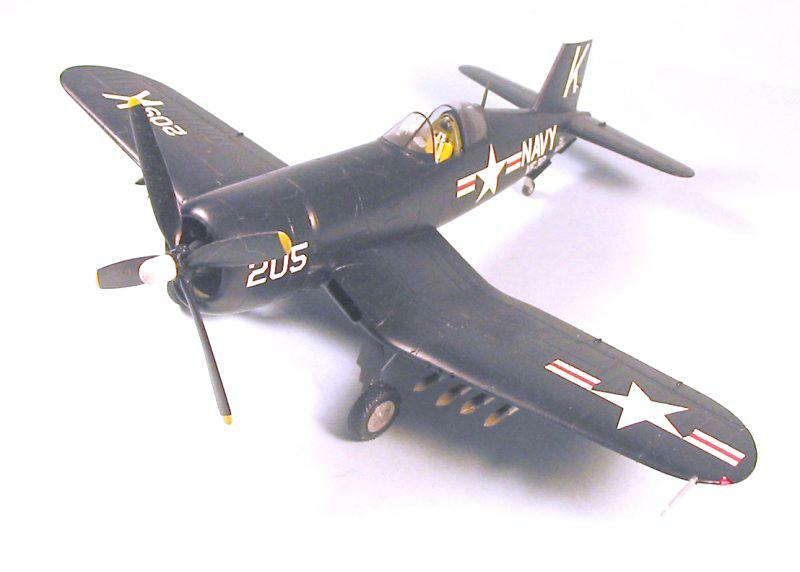 The Olathe bird I always think of doing is the F4U-4 with the grey/white fuselage and glossy sea blue outer wings – a great combination. YEP .. 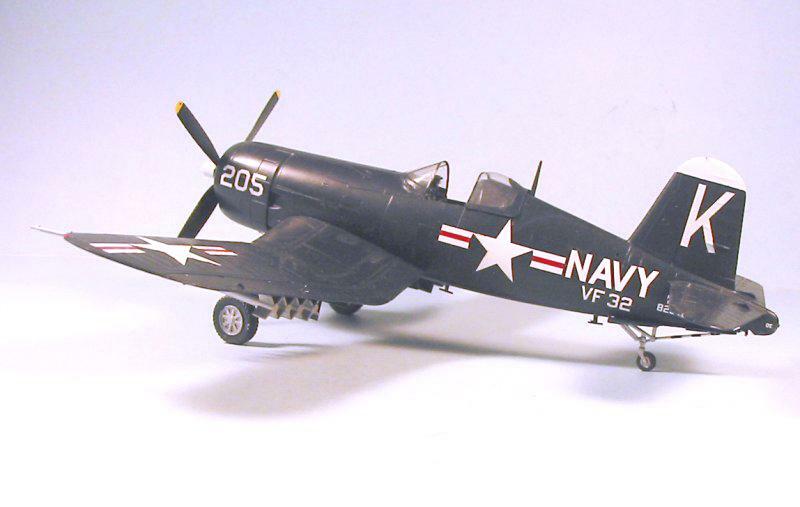 I had forgotten the colors of the Marine F4U’s at Olathe !!! STILL .. GREAT job, and pics .. THANKS !! !